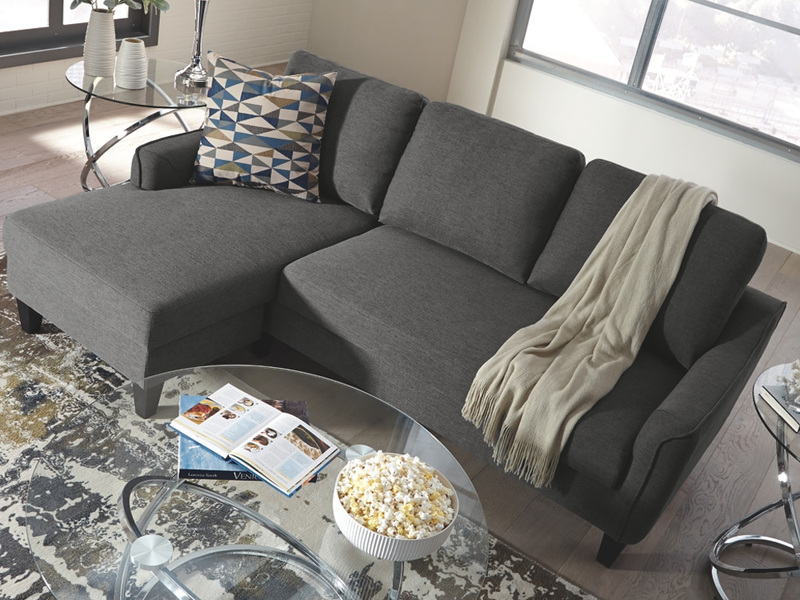 Small space living is easier than ever with the Manhattan Sofa Chaise Sleeper Sectional. The soft cushions and oversized pillow backs are sure to be a comfortable seating treat. 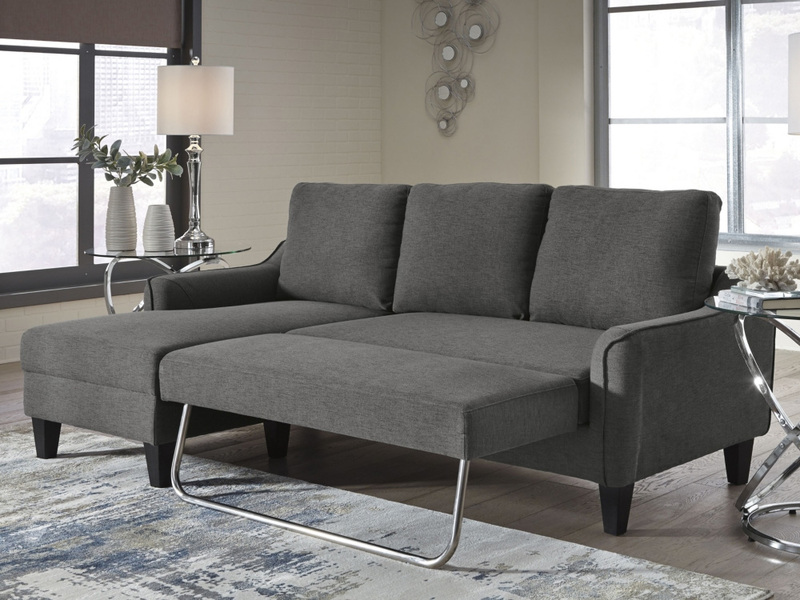 Sporting sleek arms and friendly apartment sizing, this sleeper makes a fashionable first impression, and is quick to convert into a sleeper with the included pull-out cushion. Great to accommodate guests for an overnight stay. 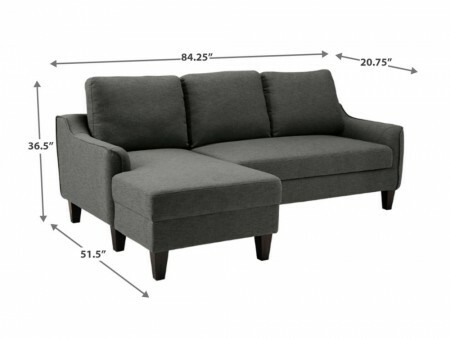 Minimum width of doorway for delivery: 21"